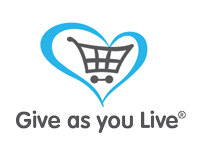 Our aim is to give disabled people the opportunity to try out a skill which would not normally be available to them. Whether they wish to take those skills further in competition or just enjoy a gentle trot on a pleasant morning in the company of like-minded people is entirely their choice. 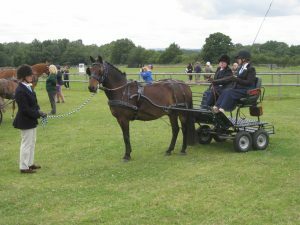 A “turnout” includes a pony, a specially adapted carriage capable of taking a wheelchair, and an RDA Coach (able-bodied driver known as a Whip) who is in charge of the whole procedure. 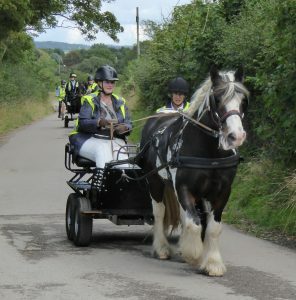 All are assessed by the Riding for the Disabled Association (RDA) for suitability and to ensure the safety of the disabled and everyone present. 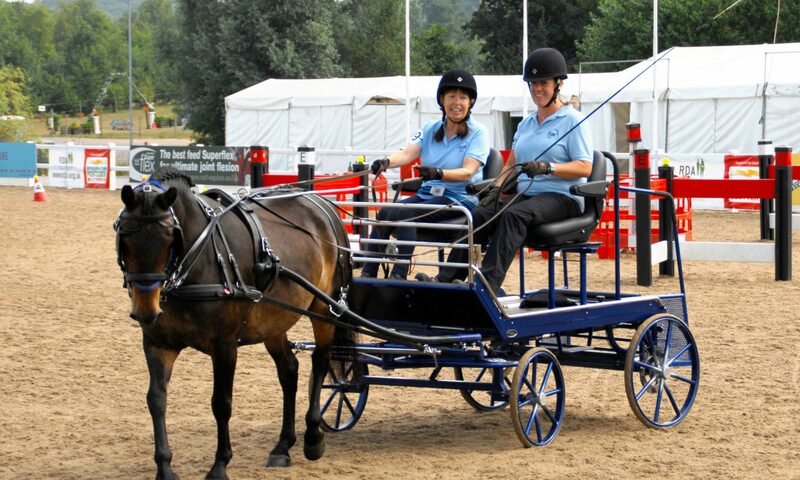 The disabled driver is taught to drive sitting alongside an RDA Coach, each person holding a set of reins for maximum safety. We have our own pony, Jim, who is looked after by volunteers at their own yard. Cherry Park Driving Group meets on a Wednesday morning at our venue near Chichester from 10am (with the aim to start driving at 10.30am) until approximately 1pm. Our operating season runs from May to October weather permitting. If you are interested in joining us please contact us. If you are interested in volunteering for us you will find more information here.